Today being fit seems to be the need of the hour. If you are not healthy, you may be prone to a number of diseases and at the same time, your lifespan will also decrease. There are lots of ways to stay healthy and working out is one of them. It not only helps in the overall well-being of the body but keeps you energetic and focused. 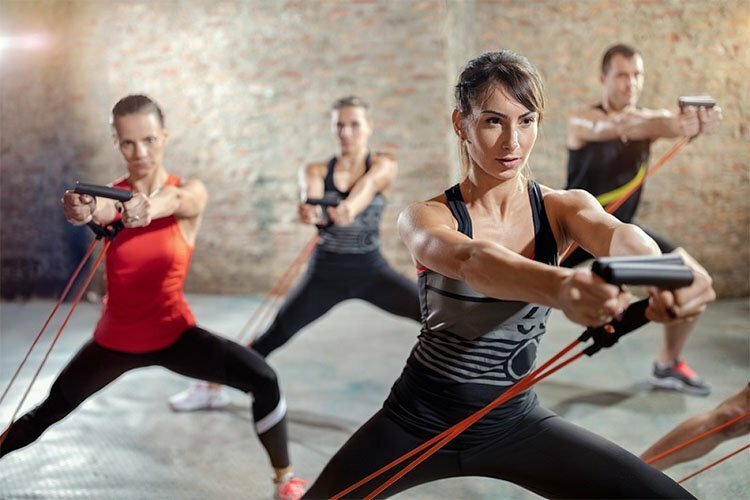 There are various types of workouts that you can try at home, and lately, using resistance bands has become very popular. With the help of such bands, you can easily build and strengthen your muscles and stay fit and healthy. Resistance bands feel a specific role and offer a number of advantages. If you are considering the use of such bands in your exercise, it is essential to first get familiar with the benefits they provide. Usually, the exercise machines or equipment are very costly and it is not feasible for everyone to purchase it but the resistance bands are very reasonable priced. These are available in the market and online as well so as per your convenience you can easily choose from both the options. The bands come in a wide range depending on the body part you wish to target, so make your selection accordingly. The cost varies with the type of resistance band you buy. In most of the cases, the machines target only a specific part of the body, but this is not the case with the resistance bands. It is because of the simple reason that you can carry out any workout and use the bands accordingly. These bands are perfect for complete body exercise and that is why it is so popular and used by the people. The best thing about the resistance bands is that these are very light in weight and portable too. So even if you are traveling or on a vacation, you can easily carry them with yourself. Thus you are able to perform the workouts wherever you are. This is something great and in this way, you will not miss your exercise too. There is no doubt that using the resistance bands is quite easy. You can use it with any exercise you want and shape your muscles properly. Unlike other machines which are heavy and cannot be used alone, this one offers the ease of use and that is why perfect for homes as well as gyms. Doing the same exercises every day can be quite boring so use the resistance bands to try different exercises that are good for your body. With the help of such bands, you can definitely give a lovely shape to your body and strengthen the same. Thus you can say that it is one of the easiest ways to do exercise and that too without the help of any person. The best thing about the resistance bands is that it comes in a vast range, so you are free to select the one which is perfect for your exercise. You can combine it with any exercise and give your workout a new dimension. It is easy to use and very cost effective to suit your budget. Thus you need not think about any option but just buy the resistance bands which are excellent for everyone. Toning your muscles becomes quite easy and you are able to achieve the purpose in no time. So try the resistance bands and enjoy the benefits. Author Bio: Justin Jersey is a journalist, stylist and blogger. He is a aesthetician by heart who often writes about Health, Art, Fashion, decorating and DIY ideas. He loves sparking creativity and giving them ideas for their own spaces.